With the intriguing confluence of friends that have – quite literally – sat on my couch as of late, and those who I correspond with mostly (for now) online, I felt compelled to share my own process with the elusive note of spiritual gnosis. Admittedly this is a novice’s tale, but bear with me. In the overlapping concentric circles of Reality Sandwich mag, Disinfo, and the Twitter network that I’ve come to know through managing this site’s social media, I’ve come to feel out a sense of gnosis within the psychedelic and visionary art community. Thinking about it, Visionary Art, often bright, vibrant, aesthetically arresting and (or) jarring, splits open our steady chiming away by the clock-filled day and takes us elsewhere. 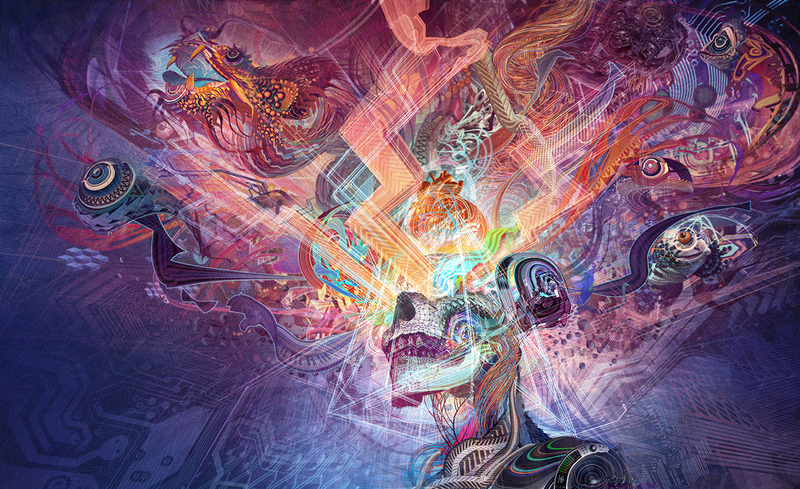 Tipper “Forward Escape” album art by Android Jones. In an odd way, electronic media has done a very good job in securing the definition of psyche-delics (mind manifesting) through a digital cocoon. Or space suit. I’m inclined to the latter, as is Amber Case (see this video) and her notion of prosthetic culture. The counter-culture we oft identify with (and I’m having a real problem holding onto the idea of a counter culture. In many ways it is, and isn’t) has constructed a Visionary prosthesis, opening virtual pathways to interact with one another in shared approximations of hyperspace called Twitter, Facebook, email, forums, etc. All of it, appears to me anyway, is a kind of digital gnosis. A Consciousness-environment-culture dialectic that feeds back on itself and allows more people to hop in the water, and what was only digital approximations of culture quickly becomes (or further develops) lived bodies. Face-to-face. We’re living in strange times. Meanwhile, in the odd little space I call home this year – a small apartment on the outskirts of New York City, in the heart of a suburban stretch called Long Island – I’ve been chiseling away at something I’ve been wanting to do for some time: to apply for doctoral admission in Religious Studies. Slowly, this has become the center of my free time. 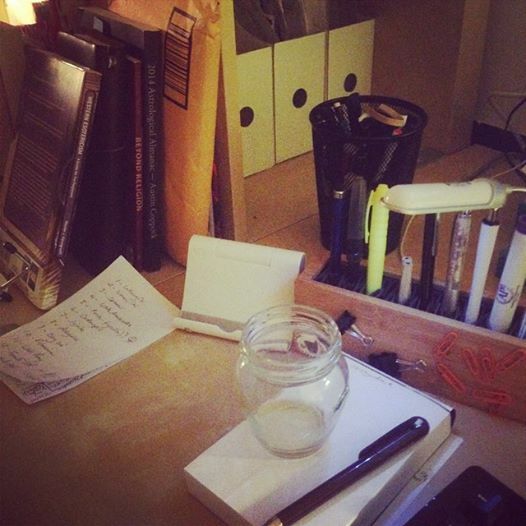 Books, bookshelves, note-taking, balanced by the demands of work. Tugging me in two directions just as I experience myself grounded in multiple worlds. I mention this because a certain concept comes to mind that helps me appreciate the situation as social media manager and aspiring academic (Yeah, there are some people who would do that. Medieval magisterial mashed up with prosthetic, entheodelic space-suit navigation. Weird). 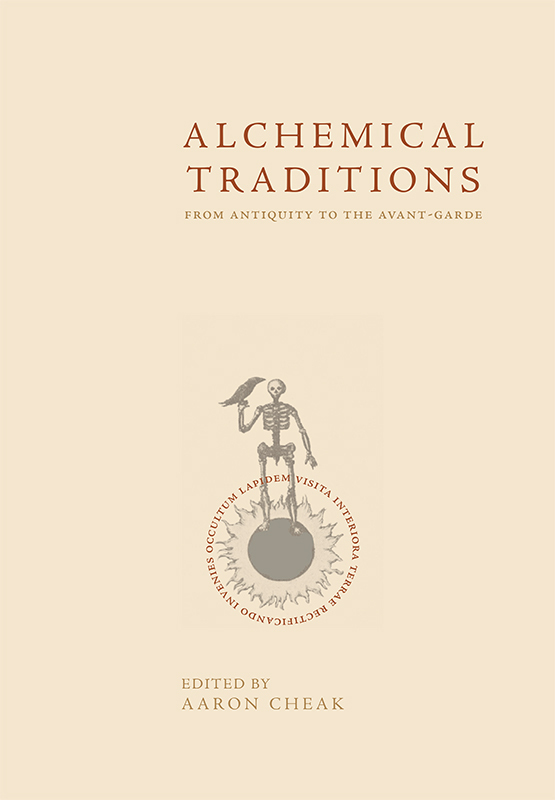 Wouter Hanegraaf is a Religious Studies scholar and the author of the veryhelpful Western Esotericism: A Guide for the Perplexed. In it, he cites the important work of Imants Baruss, who coined the little-known term: ‘alterations of consciousness.’ This is an important distinction from the more recognizable phrase “altered states of consciousness.” Think of the language here. Altered implies an alternative from something. Hanegraaf rightly points out that this assumes we have a normal, static, waking consciousness. “Alterations” of consciousness implies that consciousness is a complex-dynamic flood of different states, all working together to constitute the flow of awareness we call, well, us. “Evidence suggests rather that our consciousness is never entirely stable to begin with,” Wouter writes. God do I know. I think too many of us who not only live, but work in hypermediated digital environments are intimate with this realization. Yet I can’t help but feel that the simulacrum – the virtualities we build – are not replacements for dreams, myths, and other alterations of human consciousness. They’re yet another alteration in a sea of embodied (right now? read: disembodied) consciousness. There are a lot of threads here, which is partly intentional as a writer to induce the kind of experience we’re talking about. McKenna improvised his knowledge with an imaginatively-infused explosion of connections that need no visual component to be visionary. Indeed, McKenna fits right into the retrieval of the medium of radiofor gift of gab, his silver tongue. Many other scholars in the consciousness scene come to mind, not the least of some writers here on Reality Sandwich (Michael Garfield has a way with his words, Mitch is yet another!). William Irwin Thompson comes to mind. He event went so far as to label this style of syncretic thinking as “mind jazz.” We all do a lot of that these days. But what does this all build to? Thompson suggests, like many similar thinkers in the wave of New Thought in the 1970s surrounding the idea of a “planetary culture,” or more recently, Charles Eisenstein’s “Interbeing” and “The New Story,” a new kind of being-in-the-world is necessary. A new style of thinking, akin to Mind-Jazz, is needed to ride the flood of information, perspectives, languages, and systemic and overlapping crisis facing us today. He calls it Complex-Dynamic thinking (I dropped that term earlier). In many ways, living the modern, digital life infuses us with a diffused consciousness that tumbles like a shattered glass, refracting the light of waking consciousness into dozens of portals at any given time. But this does not disclose the other sidereal realms: those that remain un-satiated by splintering the waking mind into its arguably already assemblage-like components. Something in us demands us all of us, infinitely. To render the known-self mercurial – and that is what we seem to be doing – is not enough. It would have more of us. This magnificent red mercury, through infinite variety and in no fixed way, demands we become the imaginal beings that we are. It raps upon our daylight “alterations” and declares that even the hyperstreams must heed to some kind of… gnosis? Electronic media can promise it but never hand it over. Simulate it but never do the work for us. We must step into the portals ourselves. And like so many threads in a tapestry we yank out a cacophonous self like torn yarn and, thread by thread, gain slippage into genuine insight. I’ve been carried away with this evening’s writing exercise, but what I mean to say is that the digiphrenia we call ourselves today is a mere icon – or idol – depending on how you look at it, on the way to gnosis. But what is gnosis, exactly? We can save that for a later time. Not that I can answer, anyway, but in my readings of late, Hanegraaf is helpfully pointing out a consensus: it’s very hard to talk about, even though we can speak volumes. Case in point. In favor of this weird, cyborg infused era, I’d like to simply state that we are no worse off than our parents, grandparents or ancestors when it comes to some kind of realization. If anything, with the corrosive nature of digital media etherealizing our environments and splintering the self into hyperspace, we might even be a little closer to teasing away the threads towards a genuine gnosis; not shared by small groups of individuals but experienced as a collective body; an odd turning point in the odd history of our species. “Human beings have an inborn capacity of knowing the divine,” I read from Hanegraaf tonight. Yes. I am one to believe, to hope that our own age is not far off and away from that knowing. As David Metcalfe beautifully notes in his essay today, it’s one merely one more step into the dissolution – before the larger alchemy is revealed. I like Grof’s term (I think he coined it, if not, he definitely uses it), non-ordinary states, to describe so-called altered states. @ptero9, thanks so much for stopping by. Whereabouts did you live on Long Island? I was raised here on the south shore in Nassau (Wantagh), and reside now in my own little nook in Massapequa. Speaking of Grof, I just picked up his ‘Psychology of the Future’ text from the CUNY library. I appreciate his terminology too. Another excellent – alternative – term!